FRIDAY NIGHT EVICTION OF THE BOHEMIA COMMUNITY CENTRE. 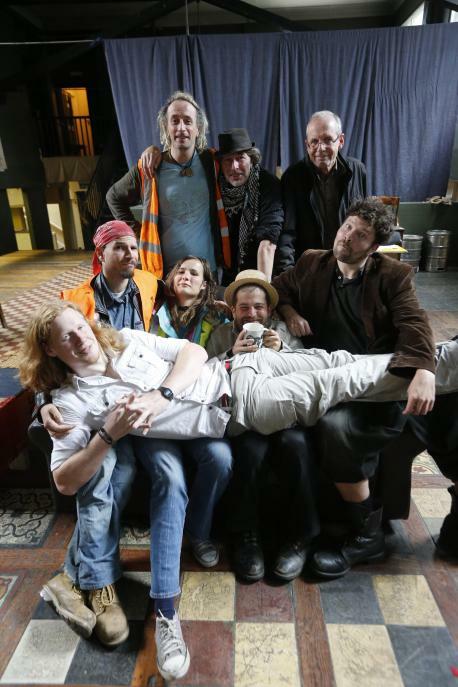 This was the Friday night eviction of the Bohemia Community Centre. Unfortunately, the night before the Occupy The BBC event, the Bohemia Community Centre in North Finchley was evicted. It is interesting that these evictions happen when a major activist event is about to occur. 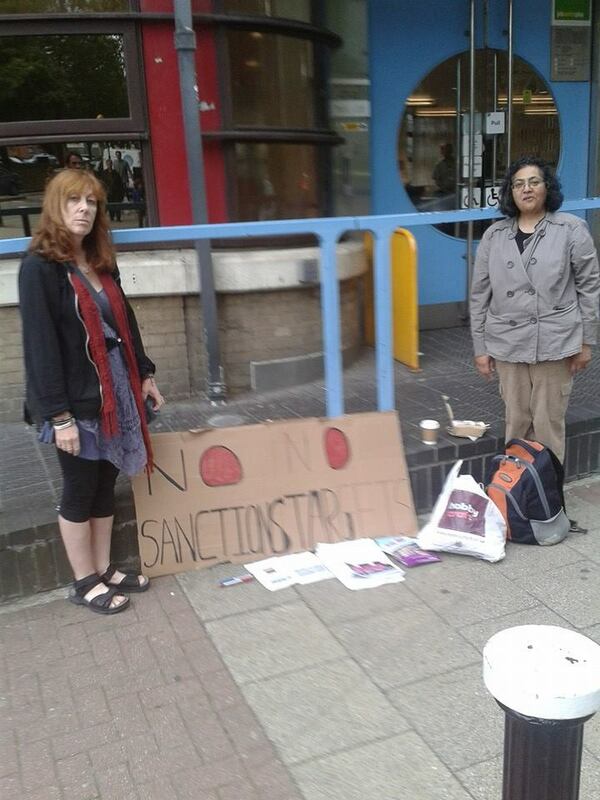 The Hobo Hilton, just before the TUC march in 2012, the Counter G8 Convergence Centre, on the day of the G8. They were evicted by the bailiffs and police with dogs. The Bohemia crew included a pregnant woman and they were given five to ten minutes to take their belongings, before being thrown out into the streets during winter. The bambuser video below gives you a little taste of how the eviction evening transpired! 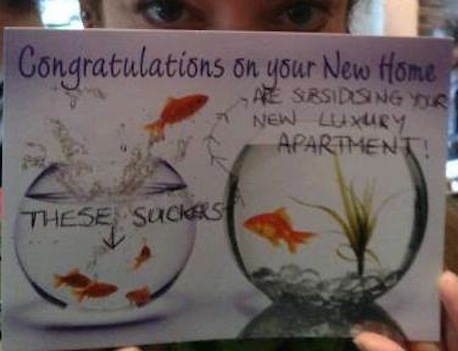 London Renters held a ‘housewarming party’ at Stratford Halo, a publicly subsidised ‘Build To Rent’ development where a family would need a combined income of 76K to rent the cheapest 2 bedroomed flat. 76K!!! The Government claims that build to rent will increase the supply of rented housing by 8000 to 10,000, but it’s costing the public 90million, for which we could build 10,000 social housing dwellings. A demo of some 200 people turned up to protest that the BBC who is financially independent unlike all other mainstream media outlets, is not highlighting matters of importance to the British public. Occupy London TV made a great video. Polly Tikkle’s article pretty much says its all. 3)GLOBAL DAY OF ACTION. GREENPEACE ACTIVISTS OUTSIDE SHELL PETROL STATION. 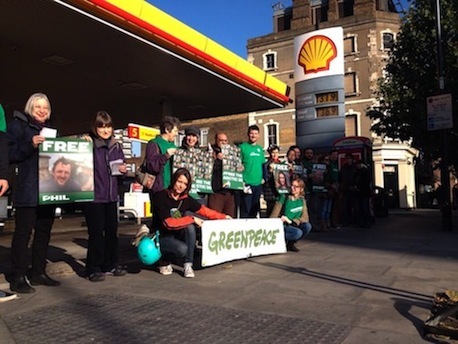 Shell Petrol Stations and the Russian Embassy were picketed by Greenpeace activists on Saturday to free the Greenpeace 30. STRATEGY MEETING 17/11/2013: PURPOSE OF THE G.A., RMT, KATE’S RESEARCH ON OCCUPY → ← NOT ON THE BBC NEWS: #OCCUPYTHEBBC March Against Mainstream Media.